In this tutorial we show you how to login to your DVR. We also walk you through how to add a new User ID, or edit an existing User ID & Password. 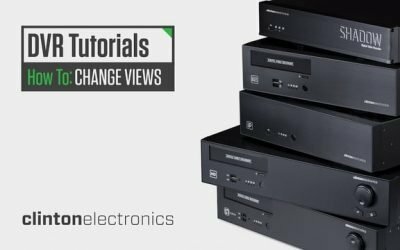 In this tutorial we show you how to change the live view on your DVR. Changing the Multiplex view is discussed as well as changing the position of selected cameras. *For Clinton Shadow, Pro, HD & Hybrid Series DVRS. In this tutorial we walk you through the process of backing up recorded video to a disc or USB drive. An overview of the many different methods to search for recorded video. Explained are Quick Search, Calendar Search, Event Search, Overlapped List and Museum Search. *For Clinton Shadow, Pro, HD & Hybrid Series DVRS. We walk you through step by step the process of converting backed-up DVR video from the proprietary video format to an AVI format. AVI videos can be emailed and played in most media player programs/applications. Watch this quick video to see how to check important DVR info such as: available HDD space, Recording Status and Firmware Version.